Ok, so this is going to be as casual as I'll ever get. Seriously though, I am one of those girls who put on makeup just to go grocery shopping. I don't do the casual thing very well, so this is my version of it. Being comfortable in essential pieces while looking chic and not rolled out of bed. 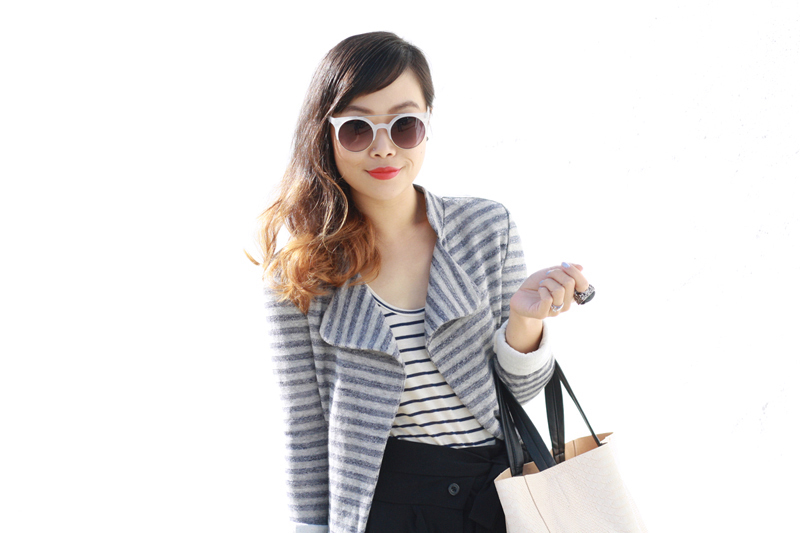 I am layering a striped tee with a striped blazer, both by 19 4t, to keep this basic look a little more interesting. 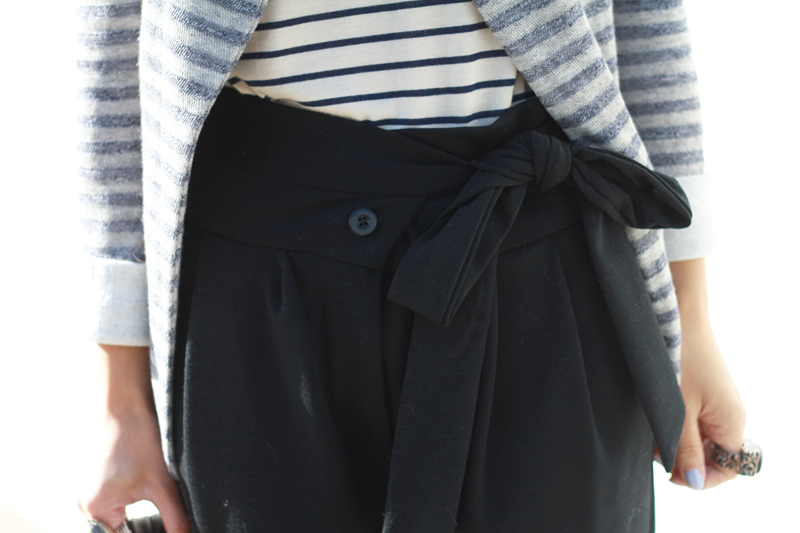 One can never have too many striped basics and the ones by 19 4t are soft as clouds! I paired them with these oh-so-comfy high waisted cotton harlem pants that are chic and edgy, I especially love the bow tied at waist and the extra long cuffs. 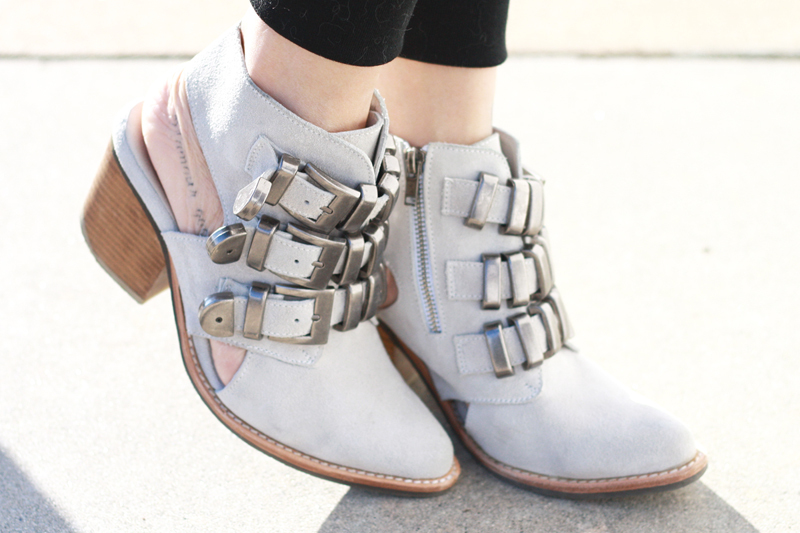 Slipped on my Jeffrey Campbell Tripoli and called it a day! Striped tee c/o 19 4t. Striped blazer c/o 19 4t. High waisted cotton harlem pants from Hong Kong. Tripoli in ice suede by Jeffrey Campbell from Solestruck. Two tone tote bag c/o OASAP. Jeez Tosh! I love me some mixed stripes and Tripoli boots! Just fab!! I really love this outfit from head to toe! You always wow me with your amazing styling! Love your version of casual style! Im addicted to stripes too, so i agree, there's never enough of them. This outfit is SO cute! You look incredibly chic and I love your pants!